Audio recordings from the May 23rd and June 26th 2017 meetings of the Board of Trustees have been posted. To access the menu of recordings for May edited by agenda item, click here. To access the menu of recordings for June edited by agenda item, click this link. The majority of the agenda points discussed at both meetings were routine, so we will instead direct your attention to a number of interesting non-agenda topics which produced the most fireworks. Permit violations lead to disconnection request? Or “I was for it before I was against it”?As described during the May Board of Trustees meeting, the village had received several complaints regarding unauthorized tree removal with possible Heritage Tree Ordinance violations taking place, as well as the demolition of a 2943 sq. ft residence at 2400 Spring Creek Road without a demolition permit. The property was previously owned by the late Barbara MacArthur and had been sold to the trust which owns Barrington Hills Farms on March 24, 2017. The Village twice posted a Stop Work notice on the site and this notice was later removed twice, by persons unknown. Apparently, continued site activity has been taking place without permit on the property, in violation of the stop work order. The property owner could be subject to a fine of $750.00 per day if found guilty in court. As of the June 26 meeting, there had been no response received by the Village from the owner. Trustees Paula Jacobsen and Bob Zubak chose not to participate in the discussion of the violations. Perhaps that was because the individual controlling ownership of the property was a large contributor to “Your Barrington Hills”, the committee that backed the campaign of Jacobsen and Zubak in the April Village election? Interestingly, and perhaps not coincidentally, the new property owner has now submitted a petition dated July 17, 2017 for disconnection of said property from the Village, which is being presented for consideration by the Board of Trustees at its July meeting tomorrow. Strangely, the chairman of Barrington Hills Farms had previously indicated during several public meetings his desire to bring the trust’s significant acreage contiguous to the cited property back into the Village. We wonder, are building and zoning regulations less stringent in McHenry County, or are there other more compelling reasons for disconnection? Were village email lists compromised during the last election? The discussion from May can be heard here. Misrepresentation of the handling of after hours police non-emergency calls? . Chief Semelsberger’s refutation of one resident’s assertions can be heard here. 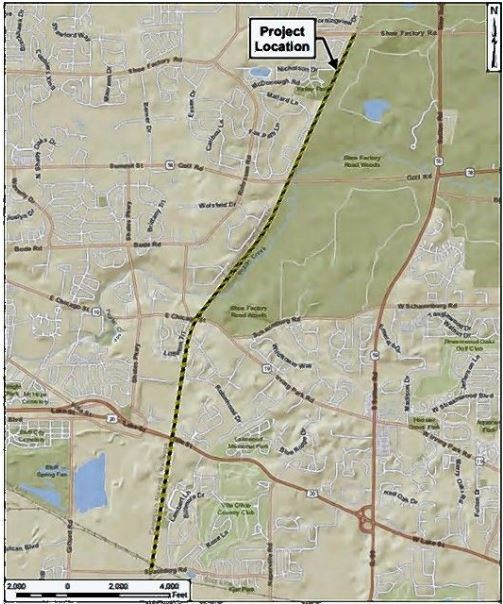 One acre zoning for unincorporated McHenry parcels falsely stated by resident? That discussion can be found here. Slanderous remarks during public comments will not be tolerated by Board of Trustees. We urge our readers to listen to this clip.